I'm back with another card to share with you! This one is for Chinese New Year! I just really wanted to play with these colours this time! Black & White Sheep from Just Inklined were perfect! Even better, you can pick them up for free at the moment! die then inked with distress ink whilst still in the die. The sentiment was done on the PC. blog candy giveaway, so I'm sorry I can't tell you where they are from! I finished off the card with three buttons from my stash. but I have done so now! Thanks for popping by, I hope you like my little creation! This made me smile, such a great image !! Sorry to hear you was unwell, so many people seem to have got this year off with being poorly, I haven't been about much as my health is being a total pain in the bum so there has been a lack of crafting. A fabulous card Dawn, such a great image. 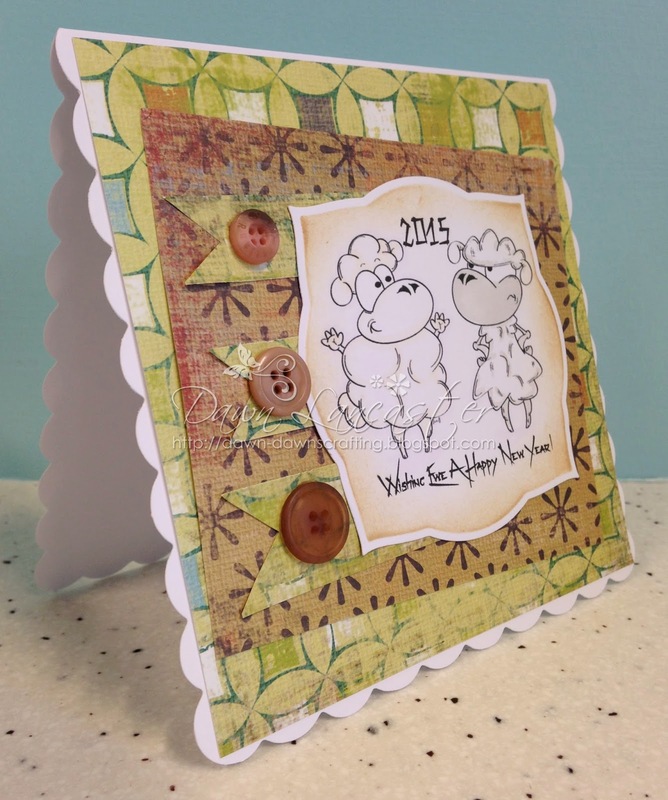 Fabulous Dawn, love the sheep and gorgeous papers you have used. Super card Dawn. Love the image and design. 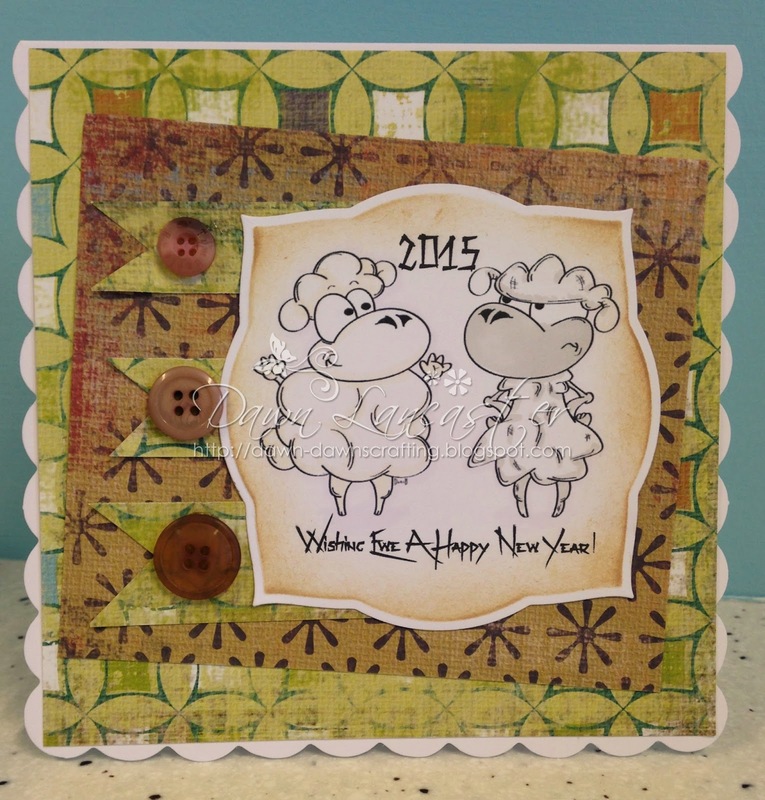 Great card and Happy New Year right back at you! but this is cute and sweet chinese new year card I have seen today..
Just loving this Dawn. Lots of character in the image and the buttons on the flags is a lovely touch.